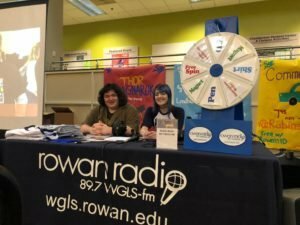 This past Thursday, March 1, Rowan University held its Fourth Annual RowanGIVES Day. In 24-hours $112,692 was donated to 106 areas across all three of Rowan’s campuses, making it the most successful RowanGIVES Day yet. Throughout the day there were eight challenges for donators to unlock in order to contribute more money to certain funds or scholarships. The first challenge was the ‘Shaun T Challenge.’ Shaun T is a Rowan Alumni and offered to donate $1000 if 1,250 people or more donated money throughout the full 24-hours. The total amount of contributors was 2,332, which allowed Shaun T’s donation of $1000 go towards the Tedd Importico Memerial Scholarship fund. Tedd Importico was one of the founders of Rowan’s fraternity Phi Kappa Sigma. The scholarship is a total of $500 and is awarded to a sophomore or junior who embodies the idea of leadership, inclusion and individuality. For Challenge 2 the Rowan Community gave an extra $2,500 to six organizations with the most donors. These organizations were Field Hockey, Men’s Soccer, Swimming and Diving, Women’s Softball, Women’s Basketball and the Social Justice, Diversity, and Inclusion Fund. Edward D. Viner, MD asked for 50 donors to contribute to the Cooper Medical School of Rowan University Scholarship Fund in order for him to give an extra $5,000. The third challenge did not meet its goal of 50 donors, but it still collected $5,796 from 25 donors for the CMSRU Scholarship Fund. The Rowan School of Osteopathic Medicine Leadership gave $4,750 to the RowanSOM Annual Fund after over 100 people donated to their cause for Challenge 4. The total amount contributed by donators was $7,671.51. Women’s Soccer won again for Challenge 5 for having the most donors of the whole event. They received the title of “top-donor supported fund” and won an additional $2,500 from alumni Bo Niland. The Rowan Student Emergency Fund received $1,000 from Rowan alumni Erica Ortiz after over 250 people used the #RowanGIVES on social media for Challenge 6. This money helps out students financially while enrolled at Rowan University. Students came together in order to unlock Challenge 7. Rowan University Alumni Board agreed to contribute $2,500 to the Senior Class Gift, which gives scholarships to the incoming freshman class, if 200 students made any kind of donations throughout the day. There was a total of 459 student donations which raised $4,158.99. The last challenge asked for 100-200 donations to be given through the Venmo App in order to unlock a $1,000 gift for the SHOP and an additional $1,000 to the Wellness Center. This challenge did not get unlocked but still raised $787.30 from 42 donors. RowanGIVES Day allowed students, staff, alumni, and many others to come together in order to contribute money to lots of great causes and organizations on campus. For a list of donors and all the organizations that received donations visit www.rowan.edu/rowangives.